Samples of Thinking & Drinking cards. PHILADELPHIA – Thinking & Drinking announced today that more than 300 breweries have agreed to be featured in the card game, which is set to launch on Kickstarter next week. 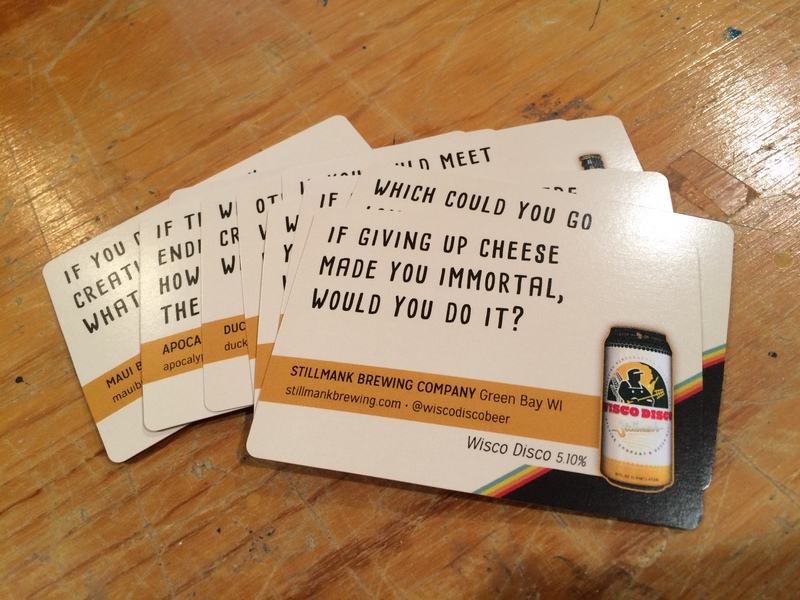 Thinking & Drinking is a 300-plus question craft beer card game designed to foster conversation among players. Each card also includes the profile of a U.S. craft brewer, including the brewery’s name, location, website, social media handles, and the name and photo of a featured beer. Thinking & Drinking will feature six decks of 54 cards and featured breweries range from small start-ups to some of the country’s largest craft brewers. Breweries from all 50 states and Washington, D.C. are featured in Thinking & Drinking. “We started the project with an open invite to breweries to submit profiles and we’ve spoken to brewers from all across the country. It’s amazing to see the diversity in styles and craftsmanship among all of these breweries,” said Cooper.